Big thank you to everyone who entered the Tell Me Your Ghost Story Contest! It closed to entries on July 15th at 11:59 p.m. EST. I have been reading through them all again. You made my job very, very difficult. Seriously talented writers all sent their work into this contest. If I could have sent you all on to my editor, I would have. Whittling it down to the top ten is not an easy task. I don’t know how my editor will figure out who the top 3 are. I will be posting the first, second, and third prize winner here on the blog by August 5th and also contacting them by email. I’m hard at work on the sequel to TGWIG. Since June 9th, I’ve drafted 60k words or 250 pages, if you prefer. It’s the most rigorous writing schedule I’ve ever attempted. 4-5 solid writing hours every day. I’m also doing a ton of research as I write. I’m kinda enjoying the travel journals, but if one more person writes, “the hotel was nice,” I am going to lose my mind. I need to know what a hotel in 1831 was like. I have several scenes in one. Nice isn’t going to cut it! 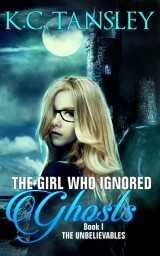 With less than two weeks until the release of The Girl Who Ignored Ghosts, I’m in a promo frenzy. Still writing guest blog posts. The majority of them are done, but I have a few more in my queue. Finishing edits to an essay for the YA Review Network. Somehow that file got corrupted. So everytime I saved it, it garbled up. I finally had to open a clean Word document and retype the entire 10 page essay into it. I nearly lost my mind over that tech kerfuffle. I’m working on workshops for school visits in the fall. I have one I’m polishing up. Two others are in the drafting stage. I’ve bought ad space online and in print. August 27, 2015, from 4 p.m. to 7 p.m., in Wolcott, CT, at La Fortuna Restaurant (388 Wolcott Rd): Community Dinner Night with Local Author (proceeds to benefit the Wolcott Volunteer Ambulance): Selling and Signing copies of TGWIG and donating $1 from every book sale to the Wolcott Volunteer Ambulance. 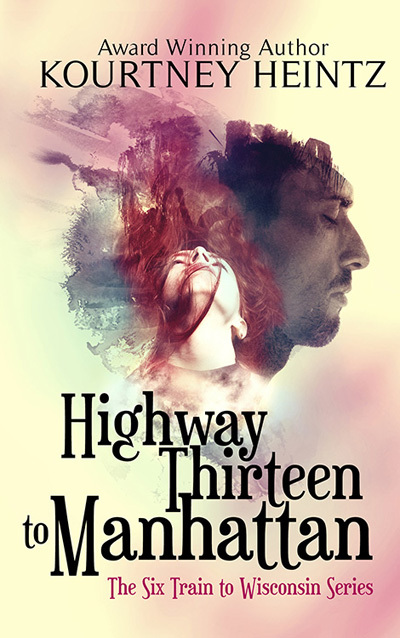 This entry was posted in author appearance, flash fiction writing, Giveaways, marketing a book, new release and tagged Author events in CT, flash fiction writing contest, promo activities, Tell me your ghost story, TGWIG book giveaways, TGWIG Facebook Launch Party, writing sequel to TGWIG. Bookmark the permalink. Busy, busy, busy! I’m so excited to hear about everything that’s been going on. I think I’ve signed up for the FB launch party and will try to be there; we have visitors that week so I’ll do what I can. We leave for Lake Tahoe this week and TGWIG is coming with me. I’d meant to read it before now, but beta reading two manuscripts this summer wiped out most of my reading hours! 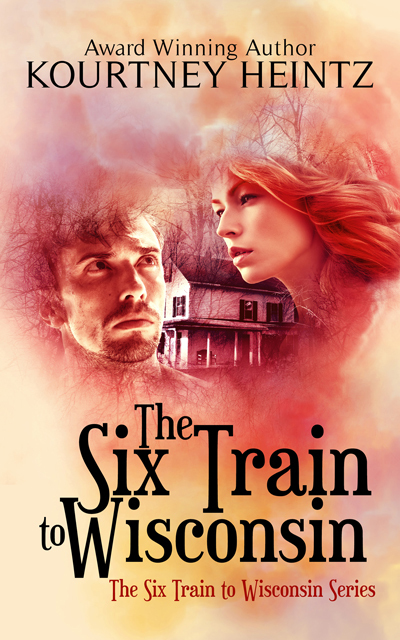 I’ll make sure to get my review up on Goodreads before the release date. Is it okay if I pass my ARC onto another reader once I’ve finished? Okay, great. I wasn’t sure what the rules were with ARC’s. I’m thinking I’ll pass it along to my 16-year-old niece, who’s a voracious reader. I have a feeling she’ll enjoy the supernatural and historical elements. Thanks for asking. The big no no is trying to resell them. If you want to pass it along to a few reader friends that’s cool especially if they are willing to post a review. 🙂 She’s my target reader. Yes, definitely pass it along to her. 🙂 Thanks! Glad to hear your contest went so well, but sorry to hear about the lost essay. How frustrating that must have been, especially when your plate is so full! I really thought there was one moving the words around. I’ve never seen that happen before in Word. Yes, hopefully I’ll delete that file and never see him again! Thanks Ally! I’m excited for them too. 🙂 Aw thank you. I can’t wait to find that out too. So cool! I just love the way you never do anything by halves Kourtney.. And I wish you well with that writing schedule.. And I wish all of those who entered your competition GOOD LUCK for the final top 3… 🙂 I look forward to seeing the results of the lucky winners..
LOL. I’m all in or I’m not interested. Thank you. It’s been hectic but awesome to see how much I can produce when I really set my mind to writing fast. Yes. They are all talented writers. I don’t envy my editor, who must now figure out the top 3. Can’t wait to share the results! Love the photos and artwork. I’m excited and looking forward to reading TGWIG. Thanks! Can’t wait to hear what you think! I haven’t. I’ll go check it out right now! Good luck with the draft and the research! I admire you, that you don’t get lost in research. (That happens to me all the time.) Sorry I could not come through with the hotel stuff, too, but all of my Viennese research was for modern-day. I’m sure you will find some great resources, though. The architecture alone from that era is sure to be full of story springboards! Thanks. I tend to be very focused on what I need for the scene. As I skim, I might come across a cool detail to add in too. I’ve actually got the plot and story down, I’m just trying to get the setting accurate. Like were the roads paved in the city? Did hotels have room services in 1831? Those kinds of details are really essential when you have 5 scenes set in a hotel room. 😉 I found a great book on grand hotels from 1830-1930. I’m not a fan of doing research. I have a WIP that takes place from the 1950’s to today (and beyond). If you have any suggestions for me on any sites for research, I’d gladly welcome them. Keep up the good work, Kourtney, and good luck with everything. Excellent job on your sequel draft, Kourtney! Your hard work and dedication will pay off. I look forward to your guest post. As soon as I get everything into WP, I’ll email a draft for your review. I know the feeling, Kourtney. The book I submitted last week was written in 3 months. You’re welcome anytime! Before I had official deadlines, I used to aim for 3-6 months to lay down a draft. Now I know I can do it in 6-8 weeks. That’s really cool to know. Though I wouldn’t want to have to keep up this schedule all year. 🙂 Wow, that’s terrific drafting time. Congrats! Phew, good luck with the hotel research on top of all that work! Depending on where your hotel is located, historical newspapers for the area might have some ads, especially for the bigger cities. The Library of Congress has a number of papers from across the country going back to 1836 at http://chroniclingamerica.loc.gov/ that might be helpful. State Archives might also have earlier ones, especially for the Colonial area. But if the hotel’s in Austria, that’s a bit more of a search! Ugh, losing that essay in the midst of everything you have going on must have been difficult to manage. But, I’m happy to hear everything else seems to be going swimmingly! I’m a bit late but have you tried contacting/emailing a local prof (history?sociology?) or German society for help about the hotel description? Appreciate you making such an effort to get it right – makes the story even more real. That’s a cool suggestion. I haven’t had time to search for an expert and shoot them an email, but that’s always an option to explore too. 🙂 I figure there’s going to be a couple rounds of revisions and at some point if anything sneaks through my editor will call me on stuff that’s wrong. She’s awesome like that. Thanks so much!